Of all the things you plan on a road trip up to the Central Coast from Los Angeles, it is the unexpected surprise that often stays with you the longest. 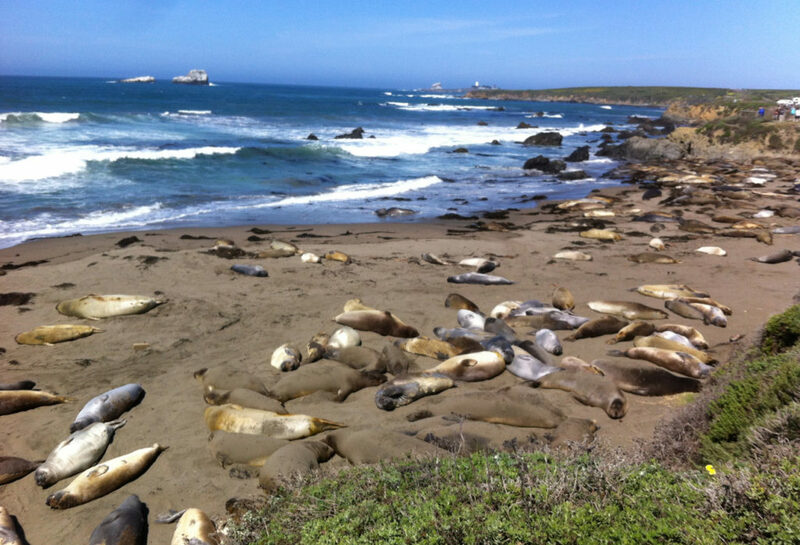 This was true of our accidental discovery of the Piedras Blancas rookery about 7 miles north of the main section of San Simeon on CA-1 (and nearly 14 miles from downtown Cambria). We had been heading for the lighthouse on our way up the coast, but we saw a large group of people pulled into a parking area and decided to investigate what had so captured their attention. 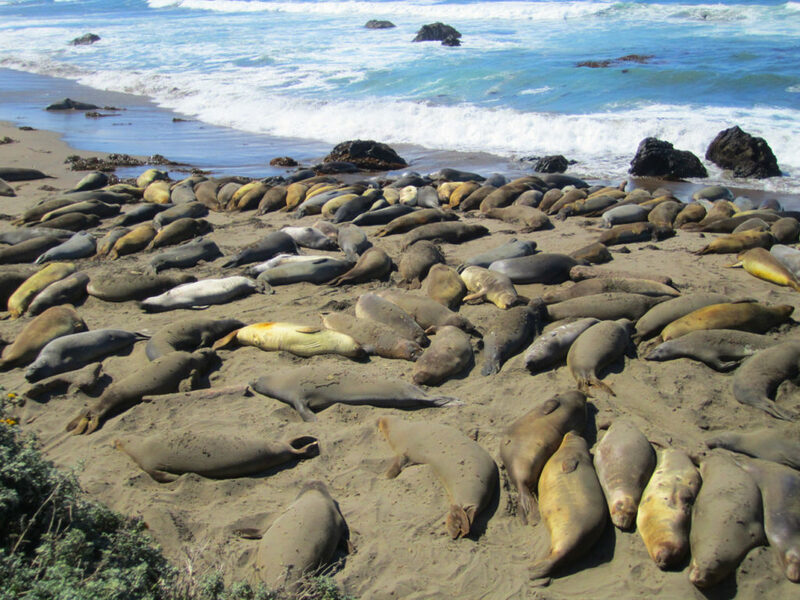 There on the sand and rocks below the highway were hundreds of elephant seals. 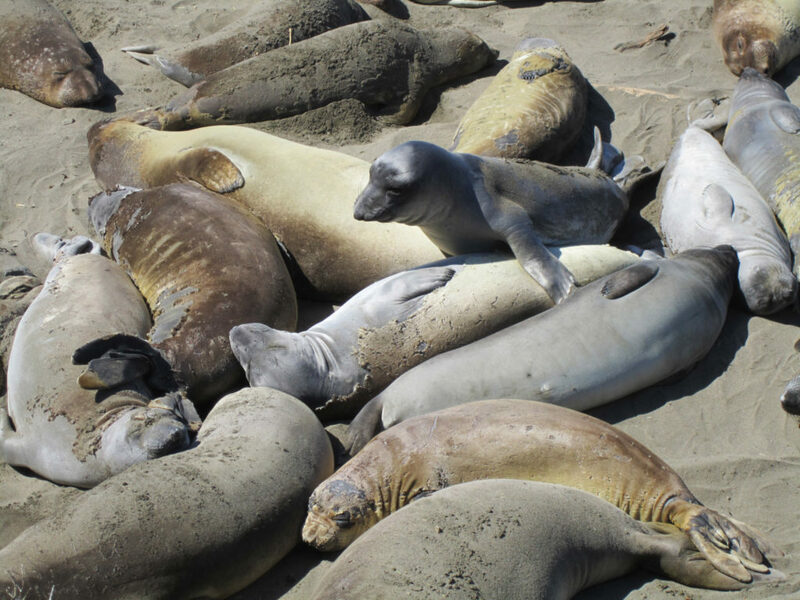 As it turns out, from mid-March through mid-September, the seals haul themselves out of the ocean and rest on the sands while conserving their energy for the molting process. We happened to hit a point where the adult females and juveniles were large in number and the males were just starting to arrive. While many were sleeping, we did get to watch a number sparring with one another in the tide pools and seemingly bark out orders at those who watched in fascination from the viewing platforms above. 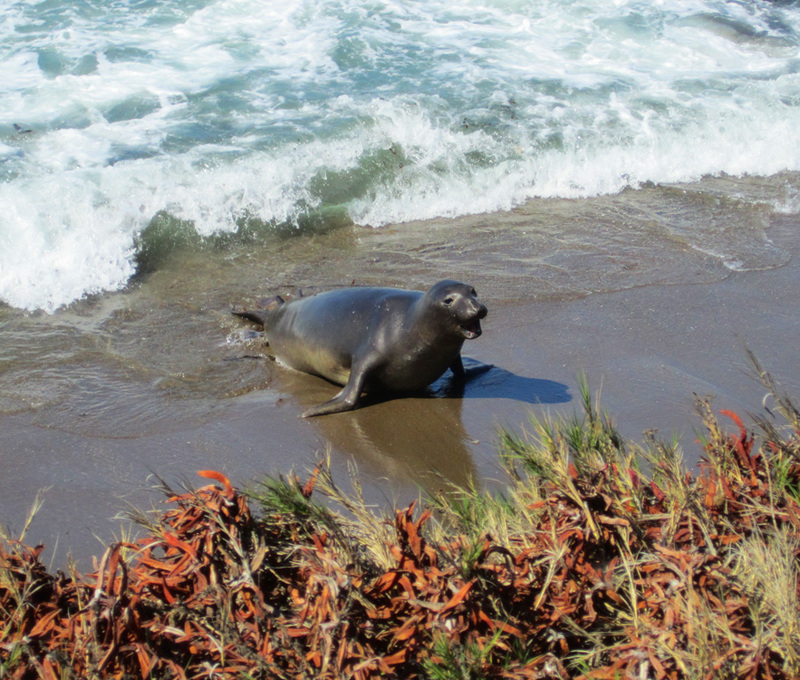 There is no fee to watch the seals, and the platforms are wheelchair accessible. No reservations are required and there is plenty of a parking. Posterboards dot the area providing you with information about the various times of year that the seals are present and what stages you are viewing. 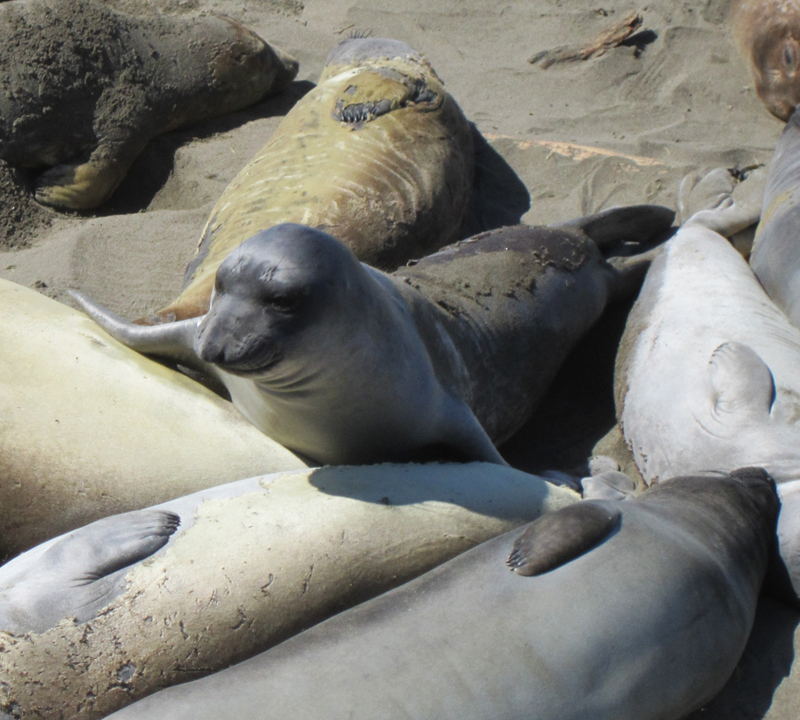 While it might be tempting to climb down and play with the seals that look cuddly and fun from above, it is illegal and not at all safe. 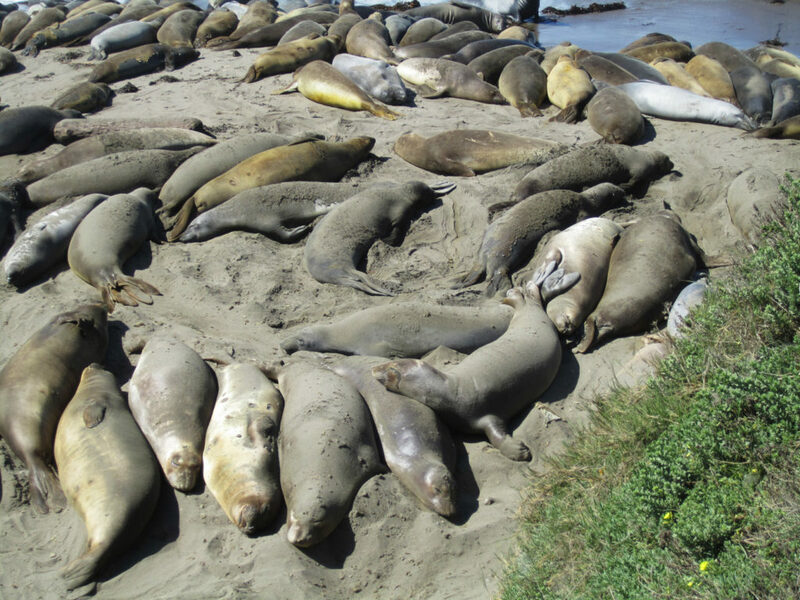 To learn more about the elephant seals on the Central Coast, please visit Friends of the Elephant Seal.